According to Chinese-language Malaysian news sources Sin Chew, here are the names of the 15 crew members on the Malaysia Airlines flight MH-17 that was shot down out of the skies in the eastern region of Ukraine, near the Russian border, killing all of the 298 passengers and crew. So far, authorities have reported that the 298 dead include 192 Dutch, 44 Malaysians, 27 Australians, 12 Indonesians, 10 from the U.K., 4 from Germany, 4 from Belgium, 3 from the Philippines, and one Canadian, and one from New Zealand. Check out here, 100 simple names for baby girls, eg: Abbra, Blerta, Doroga, Junia, or Yeva, with their meanings. Find out a hundred easy and simple names for baby girls only, eg: Adalyn, Aria, Danae, Israya, or Zoraya, with their meanings. These are 100 simple and easy names for baby girls, eg: Abbi, Anca, Breezy, Jukka, or Zita, with their meanings. Girl Names Related to "Stars, Moon, Sun light, Rainbows..."
Two hundreds baby girl names that associated with stars, moon, sun, rainbow, and things in the sky. Check out these names with their origins and meanings here! 4. AIZEA (Basque name) => means "Wind"
See here, best picked baby girl names that mean "fire" or "flame" at Baby-Girlnames site. The origin of these interesting names are Irish, Hebrew, Arabic, Celtic, Turkish, Indian, Persian, German, English, Italian and Hawaiian. 1. AIDAN; Aideen (Irish) => Little fire. 2. ADAR; Adara (Hebrew) => Fire. 3. AFROZA (Arabic) => Light from fire. 4. AINE; Aithne (Celtic) => Fire or joy. 5. ALEV (Turkish) => Flame. 6. ANALA (Indian) => Fiery. 7. ANGARIKA (Indian) => Flame of the forest. 8. ARATI (Indian) => Divine fire in a ritual. 9. 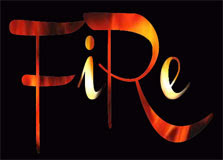 ARDERE (Latin) => Fire. 10. ATESH (Turkish) => Flame.